2015 Donor Profiles - IEEE Foundation, Inc.
"I joined IEEE as a student member for the networking and continuing education opportunities. I then became interested in the IEEE Engineering Management Society (EMS). "Years later, Tom attended an Administrative Committee meeting of EMS, now known as the IEEE Technology and Engineering Management Society (TEMS). He joined the Committee, ultimately serving as the president of the Board of Governors and then the IEEE Division VI Director. Tom spent 38 years working for subsidiaries of the Bell System. Wherever he went, Tom found IEEE opportunities to fill. 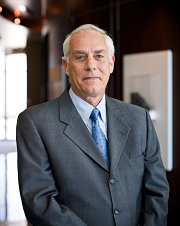 He continued on the EMS Board of Governors until 2003, when he retired and joined the IEEE Central Texas Section. "Through the years I have seen firsthand IEEE projects benefiting the technical community and supporting the next generation of electrical engineers. My wife and I both believe in contributing to organizations that supported our career success and we've made many friends through IEEE. "The most interesting and valuable IEEE programs, in Tom's view, are those that support professional development and encourage young people to pursue engineering, whether at undergraduate or graduate level. Tom also supports outreach to build awareness about the value of engineering. Tom looks forward to taking a more active role in supporting IEEE programs. "My new job for IEEE as a member of the IEEE Life Members Committee is an opportunity to help direct funding to the good work of IEEE through the IEEE Foundation." Gary Hoffman, founder of Advanced Power Technologies (APT) in Randolph, New Jersey, USA, dedicated 28 years of his career to the power industry. Now facing an aging power infrastructure and a critical shortage of skilled energy workers, Gary shares, "Over the years, the number of electrical engineers trained in power engineering has diminished. At the same time, many of my colleagues are retiring. That leaves a deficit of skilled engineers to maintain and build the nation's power grid." When Gary was approached by fellow IEEE member Dave Roop of Dominion Virginia Power to be part of the solution, he felt it was time to "give back" to his profession. As a result, APT contributed generously to the IEEE Power & Energy Society Scholarship Plus Initiative. The Initiative brings together industry, educators, and students to attract qualified electrical engineering students to the field. It awards scholarships and connects undergraduates interested in power and energy careers to available internships in the U.S. and Canada. "Making a donation," says Gary, "was targeted to help support the next generation of engineers." An IEEE member since 1987, Gary appreciates the opportunity IEEE offers him to support his industry's future. "I chose to put our money into education, bringing the best and brightest into power. The changing industry requires highly skilled engineers and I trust IEEE to find and support those future power engineering leaders," Gary concludes. Milton Lowenstein "I will continue to contribute to IEEE as long as I can." Milton Lowenstein can claim he is an IEEE member who never joined IEEE. "I did join The American Institute of Electrical Engineers (AIEE) in my senior year in 1948 so that I could establish a connection to my new profession. Eventually, IEEE caught up with me." In 1963 AIEE merged with The Institute of Radio Engineers to form IEEE. Milton went on to build a career he enjoyed for more than 40 years. 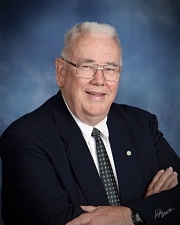 He contributed to multiple disciplines throughout his career including control system (analog) development engineering, technical/computer editing for a trade magazine, and managing computer system design and operation (digital) for many years. Over the past twenty years, Milton has donated generously and consistently to multiple IEEE funds, including the Foundation Fund and the History Center Fund. "I donate to the Foundation because I want to make a general contribution, and to the History Center because I want the advancements of electrical engineering to be recognized and archived." The IEEE History Center is a not-for-profit organization which relies on donor support to preserve, research, and promote the legacy of electrical engineering and computing. "Obviously, I think that all electrical engineers should feel the way that I do. I have been making contributions to IEEE since before my retirement in 1990 and I will continue to do so as long as I can." Senior University Partnership Program (UPP) Manager "Investing in Youth is in My DNA"
Kristen MacCartney is an IEEE member, professional staff member, and donor who can't imagine not giving to the IEEE Foundation. "There are so many great reasons to support the Foundation's work. Working with IEEE student members, I see firsthand how programs like EPICS in IEEE and the IEEE Power & Energy Society Scholarship Plus Initiative can transform young engineers' academic and professional careers." As Senior IEEE University Partnership Program (UPP) Manager, Kristen fosters activities that challenge students to develop leadership, teamwork, networking, research, and communication skills while learning firsthand how IEEE serves its members, profession, and humanity worldwide. UPP is a collaborative community of IEEE student branch officers, their engineering faculty and librarians at some of the world's most prestigious universities. "So many of the early career leaders tell me that IEEE shaped their understanding of ethical innovation. IEEE has inspired them to create technological solutions to the world's most serious challenges." In 2012, she received the Joyce E. Farrell IEEE Staff Award, IEEE's highest recognition of excellence among professional staff. She is a prolific volunteer in her professional and local communities, including thirteen years as a Girl Scout leader. "Investing in youth is in my DNA. Everyday I see firsthand how the IEEE impacts young lives and, through them, the world. When you believe in an organization like I do IEEE, you do everything in your power to make it successful." Thomas E. McDermott was introduced to IEEE as a student when his advisor recommended he join to take advantage of IEEE's technical publications and conferences. Today, a proud IEEE member for almost 40 years, Tom advises his own students to seek IEEE scholarships or participate in activities that encourage young engineers to pursue careers in electric power. As an assistant professor of electrical and computer engineering at the University of Pittsburgh Swanson School of Engineering in Pittsburgh, Pennsylvania, USA, Tom recommends IEEE programs given his own achievement as the 1980-81 recipient of the IEEE Charles LeGeyt Fortescue Fellowship. His dedication to the education of future engineers and the participation of other power industry colleagues motivated Tom to generously support the IEEE Power & Energy Society Scholarship Plus Initiative, an IEEE Foundation Signature Program. The Initiative is open to students from any school, not just the schools with large power programs, and that broad reach appeals to Tom. He also appreciates the size of the scholarship, "large enough to help a student who's interested in electric power, but not so large that it would reduce other financial aid." Tom is also interested in IEEE Smart Village, another IEEE Foundation Signature Program, as it aims "to help developing countries with (in part) sustainable electric power systems." At an early age, my late husband, Francis J. Mehall, knew that he wanted to study and pursue a degree in Engineering. He strongly believed that the liberal arts component of his college education reinforced his dedication to outreach and service to others­ -- the cornerstone of his career. This service-focused mindset propelled him to work for local causes in DuBois PA, USA, including The DuBois Area Catholic School and St. Catherine's Church, in addition to serving as Project Engineer for New Construction and later as Trustee of DuBois Regional Medical Center. He also served on the Board of Directors for the DuBois Public Library and Cultural Resource Institute. His participation, experiences and commitment to service, left an indelible imprint, which he would carry with him for the rest of his life. I am honored to keep Frank's legacy alive by contributing to the Life Members Fund of the IEEE Foundation and to the Foundation Fund to support future engineers. IEEE Fellow "We need the best in power engineering." Greg Olsen joined IEEE in 1966 as a student to take advantage of networking opportunities. After an illustrious career as a research scientist and entrepreneur, Greg is president of GHO Ventures in Princeton, NJ, USA managing "angel investments" in a South African winery and a Montana ranch. An IEEE Lasers & Electro-Optics Society (LEOS) Fellow, he was the third private citizen to orbit the earth on the International Space Station (ISS) in October 2005. 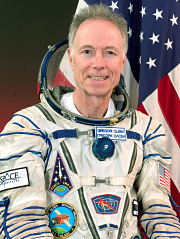 As a child living in Brooklyn, NY, USA, Olsen dreamed of making a trip into space. The launch of Sputnik inspired him to study science, math, and engineering. Despite less than stellar grades, Greg convinced Farleigh Dickinson to take a chance on him. He earned two bachelor's degrees in physics and electrical engineering, a Master's in physics, and a Ph.D. in materials science. Greg, the first recipient of the prestigious IEEE Aron Kressel Award in 2000 "for contributions to the development and commercialization of indium gallium arsenide detectors for communications and sensing applications," established and sold two optoelectronics companies. Greg's modest beginnings and incredible success inspire him to give back. He is a generous donor to the IEEE Power & Energy Society Scholarship Plus Initiative and speaks to numerous groups to encourage children to consider careers in science and engineering. Fellow "Inspiring New Generations of Students"
Dr. Roberto Padovani, executive vice president at Qualcomm Technologies, Inc., headquartered in San Diego, California, USA, joined IEEE as a student member in 1982. Roberto now holds more than 80 patents on wireless systems. He is the recipient of the 2009 IEEE Eric E. Sumner Award and is selected to be the 2016 IEEE Alexander Graham Bell Medal recipient "for innovations enabling efficient, wideband, wireless access to the Internet that is central to all third-generation cellular networks," among other accolades. Roberto believes information theory provides the foundation for future practitioners and theoreticians and generously sponsors the IEEE Distinguished Lecturer in Information Theory Award. "I am confident that the IEEE Distinguished Lecture, which has been delivered by some of the best in the field, has inspired, and will continue to inspire, new generations of students." He also supports the development of a documentary celebrating American mathematician, electrical engineer, and cryptographer Claude E. Shannon's 100th birthday in May 2016. Roberto believes the film "will spark the interest of students and perhaps steer them towards the STEM fields of study." An Alexander Graham Bell member of the IEEE Heritage Circle, Roberto adds, "IEEE plays an important role in providing the necessary tools for fostering innovation, offering the opportunity for members to review each other's work, collaborate, brainstorm, and innovate. IEEE certainly fosters a sense of excitement for engineering among young people as it did for me more than thirty years ago."